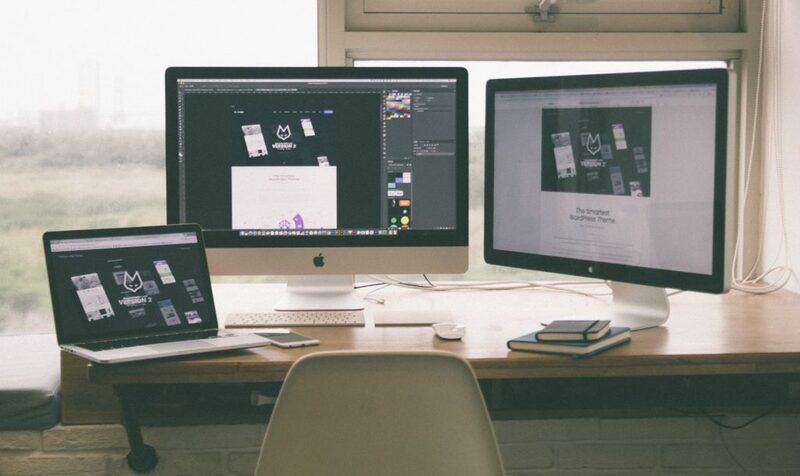 Ever Thought of Redesigning Your Website? A website takes almost as much as energy and time as a brick and mortar store does. The time you spend in developing a website or designing can be extremely exhausting. Besides spending enormous on building a website, some of us end up spending an exorbitant amount of money. Going through the entire process again be excruciating, holding onto an outdated website that fails to attract visitors can pull down your online business significantly. The first principle of building a good website is making sure that you provide extremely smooth experience to the visitor. Visitors will only browse your website if they like your website. Go for a website design and feature that make sense to the user, creating things that make no sense to the user will simply increase your website’s bounce rate. Look at the Analytics to check factors that are returning visitors from your website. You can also create a survey for the users and request them to identify the pain points on your website. Simple pop outs of customer feedback on your website can also help locate problems on your website. Invest your time into understanding your website before spending excessive money on the design. A good Website Design Company will be able to help you understand your market first, and design your website accordingly. Basic problems such as usability of the website will decide the number of sales and leads that you will receive. An effective redesign of your website can really help get on the track. We are all aware of the amount of time people spend on their mobile phones. Most of us engage in online shopping and visit other online website on our mobile phone. Imagine how many visitors your website loses if your website does not support mobile traffic or does not have a mobile version. The possibility that your potential customers will end up shopping from other competitor is much higher if they can’t buy from your website on the go. The design of your website is a reflection of your brand’s image. The first impression of our website leaves an ever-lasting impact on the visitors. The design of your website decide where you will stand in the market in terms of branding. Branding a website poorly is worse than not branding it all. While designing your website, it imperative that you go with a subtle design and a soothing colour scheme. In addition, the website should be designed keeping in mind the consistency and the theme. The content of your website too should be straight, engaging and have a neutral tone. A website that looks poorly designed will face severe bounce rates and generate no business at all. If you are always spending time fixing the technical problems of your website, you must consider changing how your website currently works. Providing technical support to your customers most times is a sign that you need to change your service providers. Switching your entire framework that most companies are currently building their website on can work well for your website. There should be no area of your work that is looks gibberish or the one that doesn’t seem as intuitive as it should. Your website must show growth as the pages and the content increase, there is a possibility that if you don’t witness increased footfall then your profit may go down as well. The only way potential customers can locate on a recognised search engine such as google is if the search engine can find you. A search engine can only crawl your website and rank you well in their searches is if your website is appropriately optimised and designed well. If you are located in India, you can look for a Reliable Website Design Company that can help you built a website that has the perfect look and feel. If your website lacks basics including smooth user experience, relatable content, quick loading and most importantly recognised payment gateways, the chances of increased bounce rates are certainly to follow. Regular promotion of SEO for your website and making sure that it absolutely SEO friendly are key factors of marking your online presence. While building your website, make sure that you back your best-selling products with the engaging content, high definition pictures and customer feedback. There is world full of option available that you can go with to improve your online presence. Going after the right ones can certainly help you increase your profits substantially.